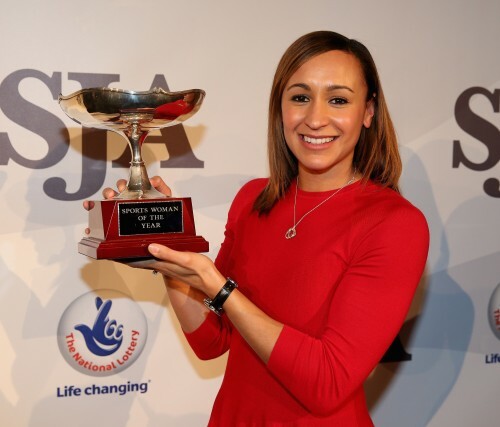 Athletes Greg Rutherford, holder of every elite title at long jump, and Jessica Ennis-Hill, world and Olympic heptathlon champion, took the major accolades at today’s SJA British Sports Awards in London. The golden duo were presented with their awards by Patrick Collins, President of the Sports Journalists’ Association, having been voted top of the poll in the Sportsman and Sportswoman of the Year categories. Rutherford, who this year added the world championship to his Commonwealth, Olympic and European titles, held off a strong challenge from a stellar line-up in the men’s category, just edging out double Tour de France winner Chris Froome, and triple Formula 1 world champion Lewis Hamilton. Rutherford is the first track and field athlete to win the SJA’s Sportsman of the Year title since 1998. Ennis-Hill took the women’s prize for a record-equalling fourth time ahead of the sport’s best female road cyclist, Lizzie Armitstead, and Lizzy Yarnold, skeleton world champion. Ennis-Hill also won the title in 2009, 2010 and 2012 and equals Paul Radcliffe’s four SJA honours. 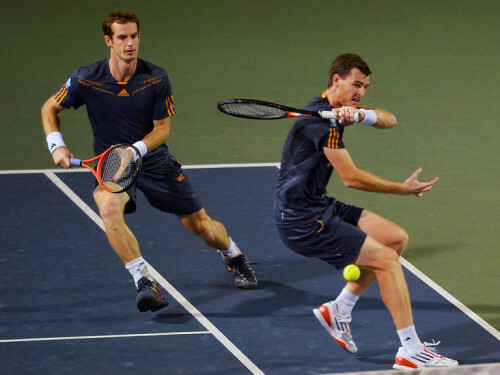 The victorious Davis Cup tennis team, led by Andy Murray, was voted the SJA’s Team of the Year after becoming the first Great Britain side to take the title in more than 70 years. The Davis Cup team came out on top in a close ballot of SJA members ahead of the England’s men’s cricket team and the England women’s hockey team. It is the first time that tennis has won the SJA’s award since Virginia Wade’s Wightman Cup team in 1975. Andy Murray won the SJA’s Sportsman title in 2013. The 2015 awards were announced at a gala ceremony in central London, sponsored by The National Lottery, and attended by nearly 400 celebrity guests from sport, politics and the media. The National Lottery is celebrating more than 20 years of providing medal-winning funding – in total, 637 Olympic and Paralympic medals have been won by Lottery-backed British competitors since 1994. The Lottery made its own Spirit of Sport Award to Olympic rower Katherine Grainger, who broke off from training to receive the award. The BT Sport JL Manning Award for services to sport went to Andy Williamson, OBE, Chief Operating Officer of the Football League who is stepping down from the organisation after 45 years. The SJA Peter Wilson Trophy for international newcomer to England fast bowler Mark Wood.